A live international webcast forum on the Hudson Valley Sustainable Food Movement will take place on May 12th. The event is organized by Hudson Valley Green Drinks and sponsored by Glynwood of Cold Spring, New York. If anyone had any doubt that the Hudson Valley was at the forefront of the sustainable food movement, they should attend or watch the live webinar called "The State of [Local] Food" that was organized by Marie Celeste Edwards, founder and chapter coordinator of Hudson Valley Green Drinks. I asked Marie Celeste what inspired her to organize this event and she explained: "The title, The State of [Local] Food, came after really hashing out what am I trying to tell the world here? The Sustainable Food Movement is alive, growing and, for the most part, healthy, but help is still needed." Photo Courtesy Glynwood. 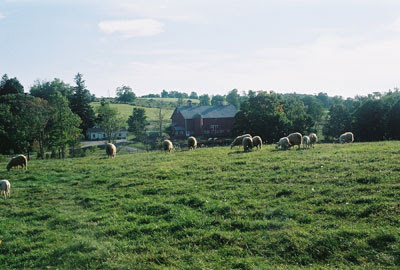 Glynwood’s mission is to help communities in the Northeast save farming. The moderator of "The State of [Local] Food" will be Diane Hatz of The Meatrix and Sustainable Table fame. Diane Hatz is also Co-Founder and Director of the Glynwood Institute for Sustainable Food and Farming. As part of this live webinar, Glynwood’s President, Judith LaBelle, will give a presentation on The State of [Local] Food. Marie Celeste enthused about the upcoming webinar: "The Hudson Valley is full of fantastic people doing wonderful new things in sustainable food production. This happening creates an opportunity for us to showcase a few of them to the world." As an Ulster County, New York resident, I have to give kudos to the organizers and participants of this event. The more farms we can save, the more land we can make productive generators of healthy food, the closer we are to creating a region that is self sustaining. 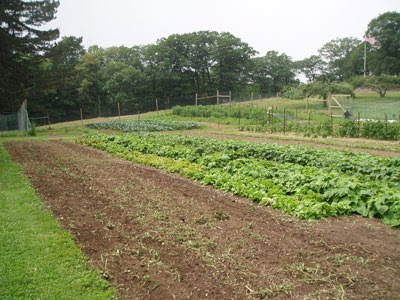 Participants of the webinar include: Ken Greene of the Hudson Valley Seed Library, Jill Rubin of the Phillies Bridge Farm Project, Mike Picinelli of Thunderhill Farm, Chris Harp, the “Bee Doctor”, Jim Hyland of Winter Sun Farms and Marcus Guiliano of Aroma Thyme Bistro. What's cool about this local event is that Hudson Valley Green Drinks has contacted other Green Drinks chapters to post the webinar on their websites and to participate online. 30 chapters of Green Drinks around the world have signed on already including Green Drinks NYC, Annapolis, Maryland; Las Vegas, Nevada; and chapters in New Zealand and Canada. Green Drinks is a world wide phenomena with chapters in almost 700 cities on every continent. This writer is a huge fan of Green Drinks as a social and enviromental force and over the years I have been a big supporter of Margaret Lydecker and Green Drinks NYC, the largest Green Drinks Chapter in the world. As Hudson Valley Green Drinks' Marie Celeste passionately explained: "The people that are running Green Drinks chapters with their hearts in the right places are doing amazing work and I'm proud to be among them. I personally long to be more connected to the greater Green Drinks community and this is the first vehicle that's come along that makes it look like that's posssible. From those chapters that have responded, they too want more connection and the excitement they've demonstrated through their emails has fueled me through the late nights of pre-event prep!"